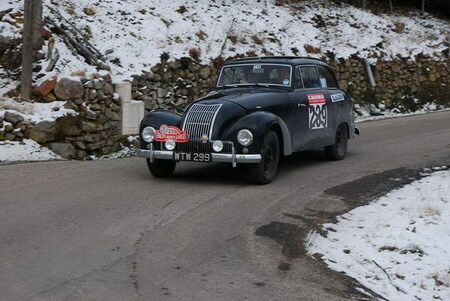 In celebration of the 60th anniversary of Sydney Allard’s victory in the Monte Carlo Rally, an Allard once again braved the roads from Glasgow to Monte Carlo in competition. The Rallye Monte Carlo Historique (RMCH) is essentially the modern running of the same rally Sydney won 60 years ago. Typically the RMCH is limited to cars produced between 1955 and 1980, but thanks to the lobbying efforts of Allard owner and Monte Carlo resident, Alex Edmonds, the 1950 Allard P1 of AOC Captain Dave Loveys and brother Roger was granted special entry. The Loveys’ Rally started on Saturday January 28 in Glasgow and wrapped up a week later on February 4. The weather for 2012 was absolutely miserable, drawing many comparisons with the fateful 1952 rally. In 2012 however, the Allard team was less fortunate. The Loveys’ hit horrible conditions, with making the roads nearly impassable crossing the Alps. 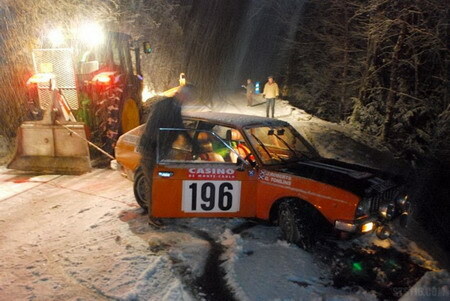 The resulting slowdown forced the team to arrive late to one of the check points, which sadly put them out of the Rally. 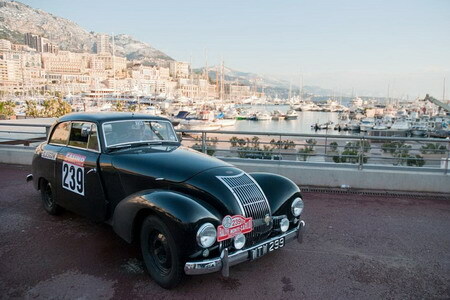 The Allard persevered though and arrived in Monte Carlo late Wednesday night. 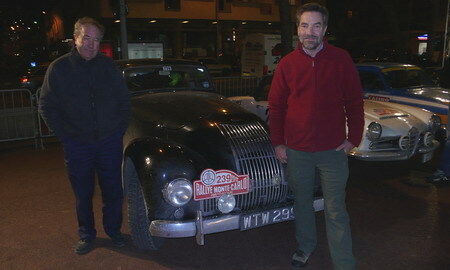 Dave and Roger are worthy of our hearty congratulations for just making it to Monte Carlo through one of the worst snow storms in recent memory…driving a bog standard 1950 Allard P1. Keep in mind that in 1952, Sydney Allard drove a tuned P1X that featured an experimental bulkhead mounted defroster. Dave Loveys had no such luxury on his stock P1, whereas you can bet the majority of his fellow (more modern) competitors could see through their windshields! We hope to hear more about the Loveys’ journey in the coming weeks and once we do, we’ll share it with you. In the meantime, if you’d like to hear about their RCMH experience firsthand, you are invited to attend the AOC Annual Dinner in the London area on March 17. Interested parties should contact the AOC Social Secretary, James Smith. Special thanks to Alex Edmonds (team photo) and Michaël Personne for the great photos.